Toyota Entune™ is the central infotainment system in a wide variety of new Toyota models, and drivers who purchase a vehicle with the feature can enjoy Apple CarPlay™, Amazon Alexa, a whole host of apps, and much more, too! As with any other piece of advanced technology, you’ll need to know how to update Toyota Entune™ if you want to enjoy everything the feature has to offer. Drivers near Carmel and Greenwood should be glad to learn that the process is simple, even for the most tech-averse drivers. We’ll walk you through all the steps in the space below. Contact Us What Is Toyota Entune™? Launch the Entune™ app, and then connect to your vehicle using USB or Bluetooth. Selecting now will take care of all your updates immediately and automatically. If you decide to select “Later,” you’ll be prompted to update once more next time you start the vehicle. In models that are offered with Toyota Entune™, upper-level trims often offer Toyota Entune™ Navigation. Using the fully-integrated system, you’ll be able to access local maps, directions, and even suggestions using nothing but your Toyota model’s touchscreen interface. Of course, if you always want to start off on the fastest, most convenient route, you’ll need to have an idea of how to update your Toyota Entune™ Navigation. If you’ve notice that your map is out of date, or you just want to be sure before you start off on your next road trip, contact the tech experts at your local Indianapolis Toyota dealer. When you come to O'Brien Toyota, we can update your maps and get you back on the road in just a few short moments. Get the Latest Updates on Toyota Technology Features! 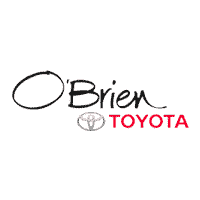 Whether you’re in the market for a new vehicle or you just want to understand the features you already possess, O'Brien Toyota is here to help! We’re your local experts on everything from Toyota Safety Sense™ to Toyota Tundra lift kits, and we’re always eager to make connections with our neighbors. If you have any other questions about maintaining or updating your vehicle, don’t hesitate to reach out. Does the Toyota 4Runner Have Third-Row Seating? Yes, the Toyota 4Runner has available 3rd Row Seating! Which Toyota 4Runner has third row seating? Available as an option on the 2019 4Runner SR5 and 4Runner Limited, these higher trim levels not only give Fishers drivers room for up to 7 passengers, and premium tech features such as Entune™ Audio and a touchscreen display….